Habitat: shaded secondary woods, forested bottomlands and and floodplain woods, south of the Wisconsin glaciation (eflora). On the Coastal Plain, where there were old buildings made with shell or lime mortar, ie., bog iron sites (Hough). Range in New Jersey: Hough says, "Statewide outside the central Pine Barrens; var. 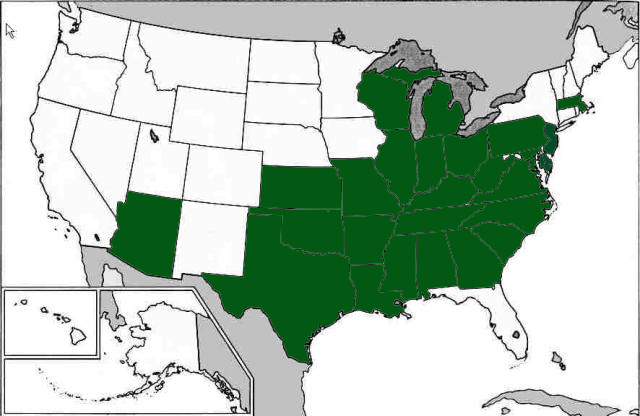 pycnostachium is at its northeast limit and is found only in Cumberland and Salem counties" p. 249; however, more recently specimen verified populations also occur in Atlantic county, and populations have been noted in Ocean county. Misc. Thought to be historical in NJ but rediscovered in early 2000s; previously, populations had been incorrectly identified as Ophioglossum pusillum. It was determined that the most reliable method for identification is the sheath, found below ground. 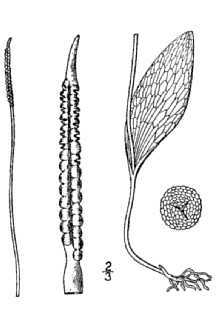 In O. vulgatum, the sheath is thicker and persistent, whereas in O. pusillum, the sheath is thinner and ephemeral. 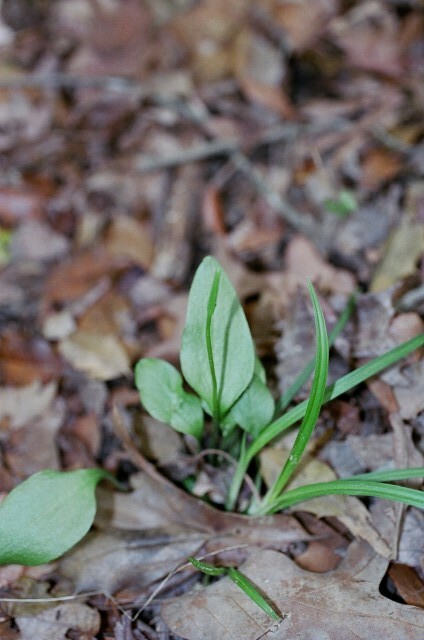 Leaves may also be used for identifcation but are not as reliable due to variation in the leaves. 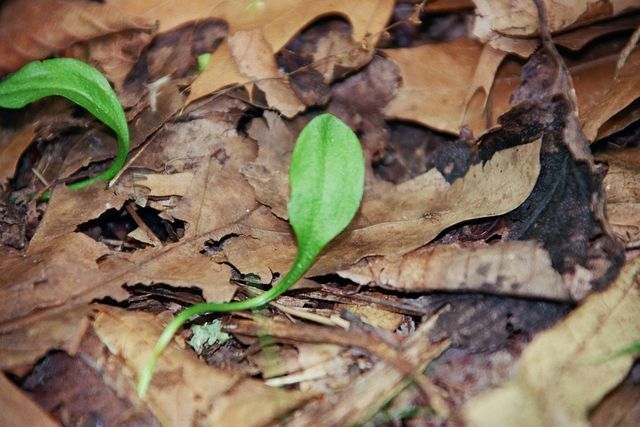 NJ Natural Heritage Database currently lists this plant as O. vulgatum var. pycnostichum.